The Xiaomi Mi 9 scored highly in our review, but we were not fans of its use of PWM. Flickering be gone! Xiaomi has replaced PWM with DC brightness for the Mi 9 with latest MIUI Beta update. DC brightness does not cause OLED panels to flicker like PWM does, which can cause eye strain and headaches for those who are PWM sensitive. Pulse-width modulation (PWM) is the bane of OLED panels. Much has been spoken about how desirable they are compared to IPS panels because of their ability to produce inky blacks and almost infinite contrast ratios. OLED panels achieve this by being able to switch off pixels individually, but this also means that they do not have a backlight like IPS panels do. Instead, smartphone manufacturers use PWM to change display brightness, which graduates luminosity by flickering the screen at a set frequency. Most people will not notice this happening nor will they suffer any ill effects. However, PWM can cause eye strain, headaches and other health issues for some people, which means that they must be more careful about what smartphone they buy. 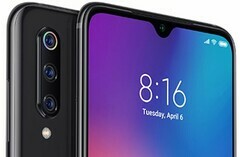 The Xiaomi Mi 9 is one device to use PWM. The display in our review unit flickered at 245.1 Hz at 99% brightness and below, which is low enough to affect those who are PWM sensitive. Thankfully, Xiaomi has been able to address this by switching to DC brightness control instead, which does not cause the display to flicker. Hence, the Mi 9 should now be safe to use for those who are PWM sensitive. DC brightness control is available now on the Mi 9 for those who have signed up to the MIUI Beta program. Xiaomi has not announced when it plans to bring DC brightness control to stable releases of MIUI or if it will add it to its other devices with OLED panels like the Mi Mix 3 or Mi 8. We have reached out to Xiaomi about both of these and will update this article accordingly if we receive any clarification about them.